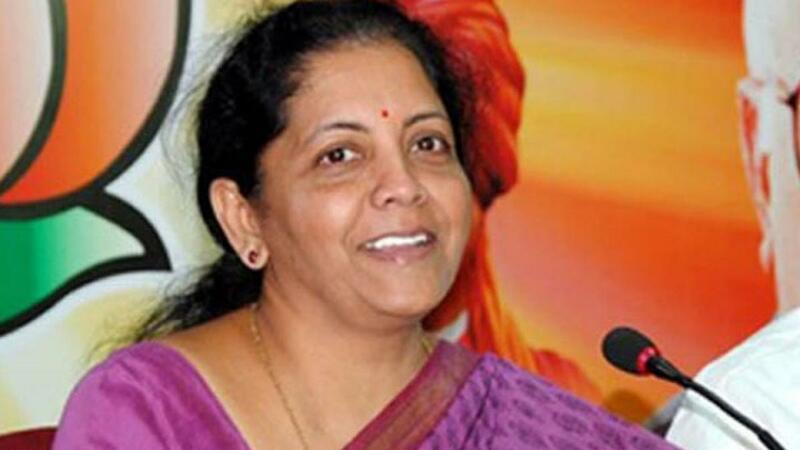 The government is taking steps to increase India\'s total exports to $900 billion by 2020, Commerce and Industry Minister Nirmala Sitharaman said on Friday. New Delhi : The government is taking steps to increase India's total exports to $900 billion by 2020, Commerce and Industry Minister Nirmala Sitharaman said on Friday. She said the government is taking steps "to facilitate 'Make in India' and therefore the exports. Every step that we are taking is towards achieving the target set by the Foreign Trade Policy." On April 1, the government announced a slew of incentives and new institutional mechanisms as part of the new Foreign Trade Policy (2015-2020) to nearly double country's goods and services exports to $900 billion by 2019-2020. India exports goods worth around $300 billion per fiscal year, while services exports amounted to around $150 billion annually. The target is ambitious as the country's exports are in the negative zone since December last year. When asked about slowdown in China and opportunities for India, she said India has an advantage in terms of young population and low cost of production as compared to the neighbouring country. "China is becoming a costlier place to produce. China's population is moving towards retirement...There is a structural adjustment which is happening in China, that is, moving from an export led kind of an economy to a consumer led economy. "A lot of manufacturers are getting out of China because its no longer the place to be in and on the contrary, we have an advantage in terms of young population and cost of production being far lesser and therefore we will be able to attract a lot of manufacturers into India," she said.